Good condition quality WW1 Imperial German Artillery Officer's Sword. 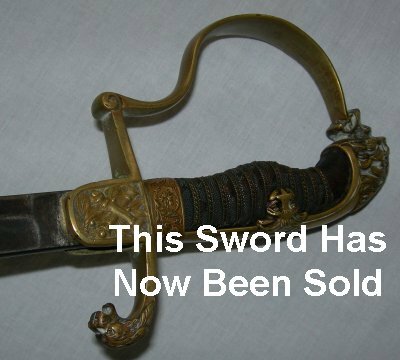 Good quality and condition Imperial German Artillery Officer's Sword. The 84 cm "In Treue Fest" etched blade and hilt / grip are all firm. Further pictures available upon request. Item reference number 81 (130).